For five years now The Wanch in Wanchai has been celebrating July First with Handover Hallelujah, a live music festival featuring more than 50 artists in a week. But HongKongers are unlikely to be greeting the occasion with “hallelujah” this year. Tensions have been rising in Hong Kong for the past couple of weeks, first with the release of the white paper in early June by Beijing, then the cyberattacks to take down the POPVOTE servers and the maddening response by Beijing towards the civilian referendum, and finally, the protests over the plans to develop new towns in Northeast New Territories (not to mention the circus in the LegCo meeting last Friday, ft. blatant disregard of the rules by Finance Committee Chairman Ng Leung-sing). 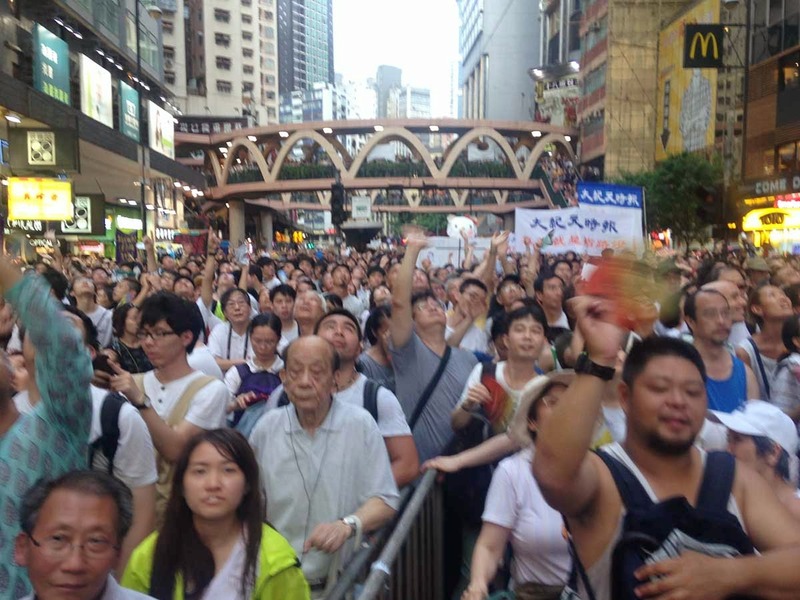 All these sentiments reached a boiling point on July First, when hundreds of thousands took to the streets to express their discontent with the government and to demand for democracy. Throughout the march, which began at Victoria Park in Causeway Bay and ended at Central, chants and songs could be heard along the way, blaring through the loudspeakers to motivate the demonstrators to keep going. There were the nostalgic songs that everyone from age 6-60 knew (basically anything by Beyond); there were pop culture ones that got the older peeps who didn’t watch TVB a little confused (天與地’s end credit song, 年少無知, which a few years back prompted a cry for individuality and freedom that quickly died down); there were also the slightly awkward ones that few wanted to be caught singing along to (the chinese version of “Do You Hear The People Sing” in Les Miserables, fashioned by Occupy Central as the protest anthem for democracy). As I walked down the road, sore, sweating, and still slightly drenched in rain, I wondered why music played such an insignificant role in uniting the spirits of the Hong Kong people in this age today. Bob Dylan’s “Blowin’ In The Wind” and its call for peace and freedom had marked the decade of struggle in the States during the Vietnam War and the Civil Rights Movement, while Sixto Rodriguez’s songs (Rodriguez from Searching for Sugar Man) had been central to the anti-apartheid in South Africa. In 2011, the Chinese folk song “Such A Beautiful Jasmine” had found itself in the spotlight when it became caught up in the Jasmine Revolution in China, inspired by the movement of the same name in Tunisia; protestors would play the song on their mobile phone as a sign of defiance against the government. In 2012, when I flew over to Taiwan to see the Avenged Sevenfold concert, I was touched by how fans had spontaneously burst into song, singing the Taiwan National Anthem together in a plea towards the band to proceed with their performance, pledging to behave and to observe safety (it was found right before the concert that the safety measures at the venue were far from adequate and the band considered cancelling). It was hard to imagine HongKongers doing anything of this sort, and even more so, it was difficult to fathom what song they would sing under such circumstances. 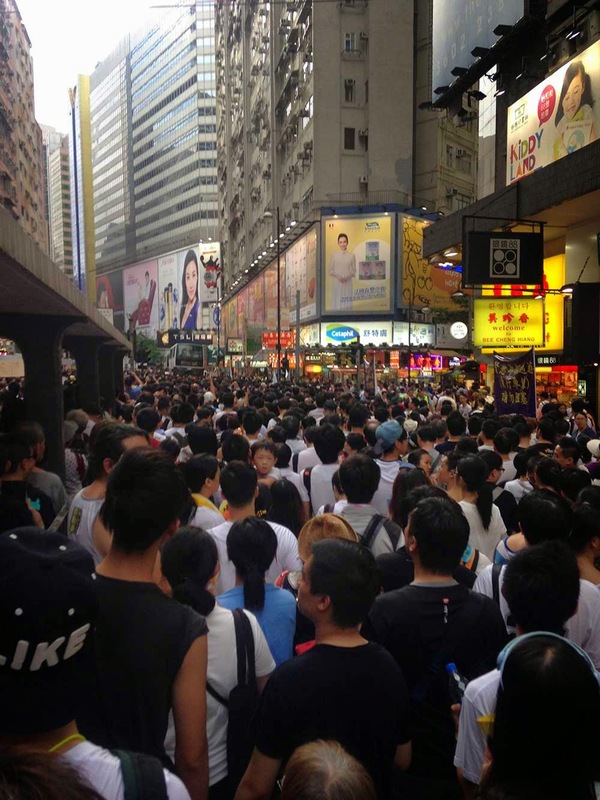 But it’d be a mistake to think that Hong Kong’s music scene is apathetic to politics. On the eve of July first, Cantopop queen Kay Tse released new song “Egg and Lamb”, dripping with rebellious sentiments: “Today the egg hits the wall / We’re not shying away from sacrifices, not backing down / Or else we’d be bowing our heads to be a lamb / And be trapped in the farm forever.” The lyrics paint a rather disheartening situation where failure seems inevitable and struggle is futile, but at the same time put forward the notion that it’s better to go down in flames with the enemy, and stresses the significance in ideas – almost reminding me of V for Vendetta (and indeed, some protestors were seen donning Guy Fawkes masks on the streets that day). Many have interpreted this as a portrayal of the current political situation in Hong Kong and of course, the timing couldn’t have been more perfect; the mainland authorities have even reportedly blocked the song on the Internet. Having the song play right in my face on a big screen at the end of the long march evoked powerful emotions, and call it a publicity stunt if you want, but it is for sure a much smarter move than Hacken Lee & co. “Bei Jing Bei Jiao”, or “Beijing and North Point”, also released last week, calls for a more cooperative relationship between Hong Kong and China, and reminds us that the two are inseparable from each other. All those involved in the song, be it lyricist Wyman Wong, songwriter Lam Yat-Fung, and singer Hacken Lee, have been slammed as champions of ‘stabilisation’ – a term coined after the Reform and Openness era that officially means emphasis on social stability, but which many regard to be an excuse by the government to suppress dissent ideas. There has been speculation that the song had not intended, in fact, to make a political statement, and that it had been written when tensions between mainlander tourists and HongKongers were at its peak, but regardless of what it is, it’s unlikely that you’ll find anyone humming it on the streets anytime soon. But the angriest are still lurking beneath the surface, quietly making a scene in Hong Kong’s underground venues. Kolor’s “Get So High” addresses the compromises Hong Kong makes to achieve its status as a international financial centre, from the sky-high rents to villagers forced to make way for the building of new railways – issues that has the echo of the current one of NENT. 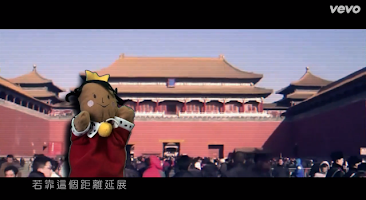 Qiu Hong 秋紅’s song “7.1” repeatedly screams “freedom!” and emphasizes the number 500,000 – the estimated number of people who showed up for the protests in 2003 against the passing of Article 23. 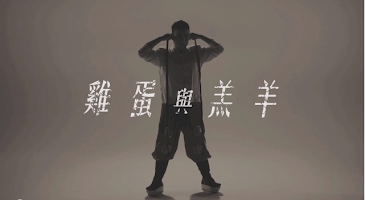 Metal band 怒人 is perhaps the most violent of them all, spouting vulgarities in every line while declaring the death of the city and the government in the song”香港鳩政”. Meanwhile, the Government continues its attempt of distracting its citizens with popular local bands (RubberBand, Mr) and the best of K-Pop (EXO, BoA, SHINee, Super Junior M), hosting a concert at Kai Tak that takes place on the day of the July First March (a very Brave New World tactic, no?). It did work for some; SCMP caught a Form Three girl who didn’t attend the march and instead went over to see Birds of Paradise perform, saying that “It’s useless [to march], the government won’t listen anyways.” God knows what this city has been feeding its teens these days, but hey, at least we’ve still got Joshua Wong.